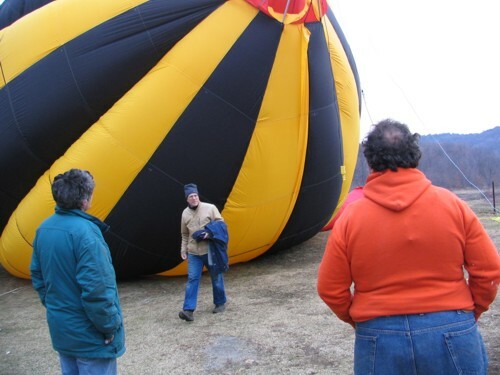 Pictured below is the first inflation of a 1/2 scale (approximately 50 feet in length when inflated) model using ribbed envelope design. 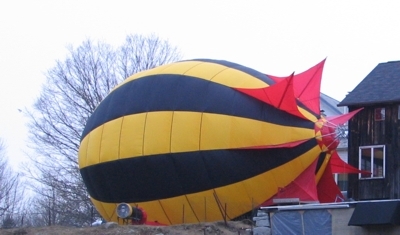 In the above picture, inflation has begun. 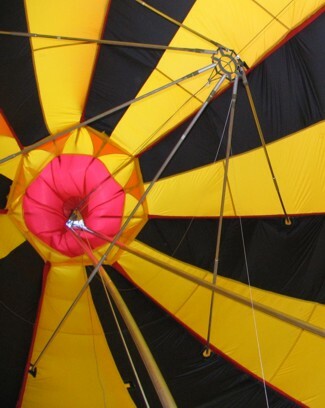 Notice the red tube on the left through which the warm air is being fed into the envelope. Above - the envelope continues to fill. 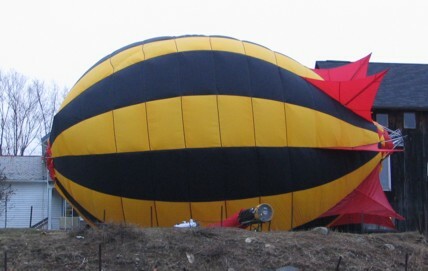 The above picture shows the model fully inflated. 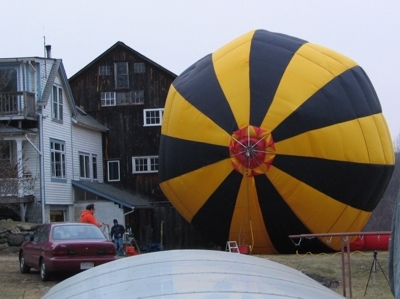 It's largest diamter is 35 feet. 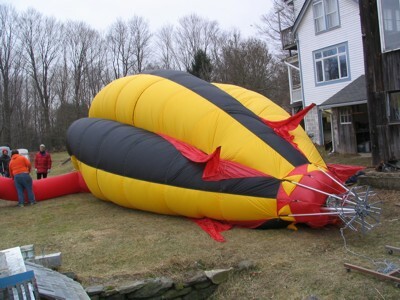 When enflated, it is about 50 feet long. The above picture is a good view of the red tail fins of the aircraft. Above is a picture of the inside of the envelope looking rearward. Notice the ring that joins the poles for the tail fins. 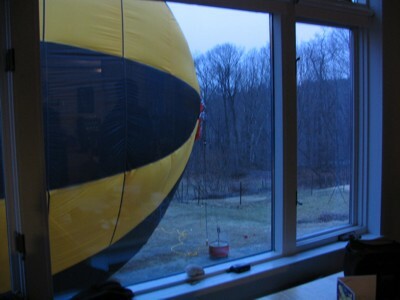 "Uhh honey, there's a blimp in our backyard?!?"